At Previse, we favor goodies. Goodies are ingredients harvested from organic, natural and sustainable sources. These nutrients are plentiful so our ecosystem is not harmed or damaged during harvesting or use. As your apothecary skin care we do pay more for these expensive alternatives so the environment pays less. If you have botanical or ingredient suggestions you would like with us please contact us. In addition to those listed below we invite you to read about all our ingredientsthat play a vital role in our recipes. Red algae, specifically Chondrus Crispus, grows abundantly along the rocky parts of the Atlantic coast of Europe and North America. It helps to instantly hydrate and cool the skin. Fennel extract comes from the fruit and aerial parts of the fennel and helps reduce UV erythema, blocks lipid peroxidation, and is an excellent peroxide scavenger. Green Tea is made solely with the leaves of Camellia Sinensis that have undergone minimal oxidation during processing. Green Tea is an excellent antioxidant. Rosemary: in addition to the pleasing fragrance and aromatherapeutic benefits, scientists in Spain found that nothing fights radiation damage to DNA like the simple rosemary herb. Daisy Flower Extract is highly efficient in natural skin lightening by influencing different pathways involved in melanin formation. Wasabi brings anti-inflammatory and anti-microbial benefits to skin care and is ideal as a natural boost to the defense against excessive sunlight. Quillaja Saponaria Bark Extract comes from an evergreen tree native to Chile and forms a mild lather when introduced to water. 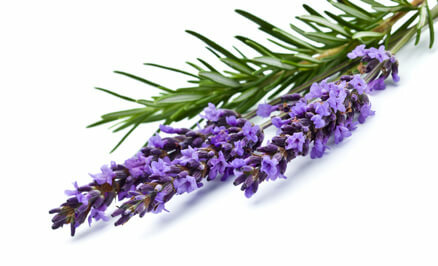 Natural Botanicals are what create our soft and aromatic essences to each product. Our members relish the natural Ylang Ylang, Yakima peppermint, rosemary, tea tree, and Bulgarian lavender that contain important topical properties as well as aromatherapeutic benefits. PEG’s are polyethylene glycol. PEG’s are found in a number of personal care products including skin care brands, and may be listed as PEG-6, PEG-150 and Ceteareth-20 (PEG-20). According to a report in the International Journal of Toxicology by the cosmetic industry’s own Cosmetic Ingredient Review (CIR) committee, impurities found in various PEG compounds include ethylene oxide; 1,4-dioxane; polycyclic aromatic compounds; and heavy metals such as lead, iron, cobalt, nickel, cadmium, and arsenic. PEG compounds also appear to be highly toxic to persons with damaged skin. Petroleum and Petrochemicals are fossil fuel that come from oil drilling which is not a sustainable source. Phthalates (pronounced the-all-lates) are a particularly nasty petrochemical used as preservatives in personal care products. Phthalates may also be used in clothing, children’s products, food packaging, plastics and building materials. Parabens are a controversial chemical preservative. Parabens can easily be absorbed into the skin and accumulate in fatty tissues. Sulfates are commonly found in skin care, shampoo and other personal care products. Most sulfates are harsh detergents and a known skin irritant. Synthetic Fragrances are often times manufactured from petroleum, and may trigger headaches, nausea or asthma for those with synthetic fragrance sensitivity. Synthetic fragrances may be further damaging to our ecology and lack aromatherapeutic benefits. Triclosan is an antibacterial agent under review by FDA. GMOs are genetically modified organisms. Some environmental groups question the safety of GMOs. These groups suggest that GMOs could introduce new allergens into foods, or contribute to the spread of antibiotic resistance.